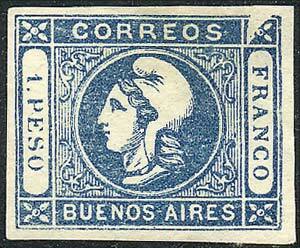 GJ.17i, 1$ blue, dull impression, with variety "top right angle defective" (pos. 12), mint without gum, VF! Catalog value US$70.